Claudine Speltz, President of the CIGDL (Chambre Immobilière du Grand-Duché de Luxembourg), our Luxembourg member association, was elected CEPI President on the occasion of our General Assembly in Paris on 17 November 2011. Her mandate will start on 1st January. After her studies of industrial accountancy, Claudine Speltz migrated from Belgium to the Grand Duché de Luxembourg. As a Member and socioeconomic coordinator in a movement for permanent education, she set up a course of socioeconomic training. Within the framework of lifelong education, she followed a class on international taxation at the University centre. At the same time, she showed a particular interest in women status. In 1986, she established herself as an accounts and fiscal adviser, and property manager. Since 1994, she is member of the CIGDL, and was its President from 2005 to 2011. Founding member of many associations, among which the Fédération des Femmes Cheffes d'Entreprise du Luxembourg (FFCEL) and the Groupement des Syndics Professionnels du Luxembourg, she was appointed “Manager of the Year 2004” (women category) by the editorial offices for economics of the Tageblatt, the second daily newspaper in Luxembourg. In 2006, she received the European Trophy 2006 awarded by the Conseil Européen Femmes, Entreprises et Commerce (CEFEC), handed over by Simone Veil. 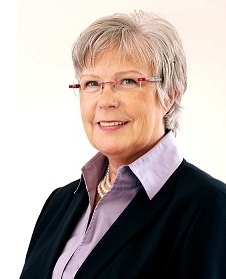 Strong of a broad European expertise as President of CEAB (the European property managers) professional committee and member of the CEPI Board since 2009, Ms Speltz will be taking up her duties on 1st January 2012. She said: « Originating from a small country used to work with diplomacy and consensus and located very near Brussels, capital of European lobbying, my only ambition will be to serve CEPI and make it grow stronger and indispensable towards European institutions.